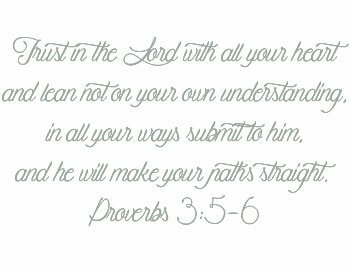 Don’t you love how each verse of Psalm 34 speaks words of deep, like fingers pointing toward sound and solid direction or love-filled warnings tacked straight to the heart? We’re memorizing Psalm 34 this year on KristiWoods.net. This is our next to the last verse! (Wow! Right?!) If you haven’t joined us, it’s not too late. Really. There’s no time like “now” to dig into God’s Word. Find more about our memory program and past verses at this blog link or here on Pinterest. 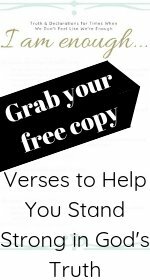 Not sure how to memorize Bible verses? Many of us don’t. No need to feel shy about it. Here’s a link to a few suggestions on KristiWoods.net. Also, my friend Betsy at Faith Spilling Over has a few solid ideas here as well. How do you best memorize scripture? Let us know in the comments below. Who knows? Your jotted thoughts might be the key to help others grab hold of God’s Word. Stay tuned for FaithFull, a 2019, 1st quarter Bible study here on KristiWoods.net centered on the faith that fills us up. Will you be joining us in 2019 to help stamp out biblical illiteracy? As Christians, we need the Bible. Its verses illuminate a dark path, shedding light for each step we take. How else do we know to make work, parenting, marriage, and every day decisions? What verses would you like to memorize in 2019 to help better familiarize folks with God’s Word? I’d love to hear. Maybe there’s a theme or specific scriptures? Post your thoughts in the comments below or feel free to email me at Kristi@KristiWoods.net. Is discouragement your main battle, jealousy, or even offense? Do you hope to see more posts centered on word studies, devotions, scripture memorization, or…??? This is a call for your input and preferences on or before Friday, Nov. 9. Would you please offer 5 minutes to answer 5 questions? Your responses to this survey help me create faith-bolstering content for you, other readers, and myself as we walk deeper with God in 2019. Several of you clicked the survey link listed in Friday’s newsletter. (Subscribe to KristiWoods.net and receive your monthly newsletter and free access to downloads in our subscriber-only library each month.) Your responses are helping already! Thank you. May KristiWoods.net be a place for us, deepening faith, and our generous God. Do you see the batter? He’s at home base, his foot scraping across the dust-covered white plate. Bits of powdery white lime, the substance used to mark fair and foul, and airy, brownish-orange dust mingle up into the air. Tapping his cleats, two – maybe three – times on the base, he then bangs his left foot against the bat. A loud, clanging metal noise rushes into the air. Then, raising his arm and locking his knees, the batter’s body stiffens in a confident, wide, victor’s stance. His finger finds and points to a space in the stands well beyond the outfield fence. A roar rises from the crowd. “Play ball!” the umpire bellows. And they do. We’re not unlike that batter. Each day of life is like a ballgame. You and I are the batters, teammates on Team Jesus. Standing at homeplate with bat in hand, our brows often furrow due to discouragement’s pitch. After all, who likes to play an inning with discouragement on the mound? Life’s going well, them wham! Discouragement hits. We didn’t see it coming. Its curve took us by surprise. I’m hitting the threads off discouragement this round at bat. We targeted the barrage of discourging thoughts recently in this post. It’s been a battle for me. But God is changing that. He’s nudging that it’s time to hit discouragement’s pitch out of the park with a Holy Spirit swing. Are you ready? Curveballs, when pitched, seem to head in one direction, but then they curve. Then we sit down in discouragement. Take me out of the ballgame, Coach. So we sit down on the base, retreat into our own, little discouraged world, and, like a youngster trying on their ballgame skills for the first time, we doodle in the dust. The game isn’t going to go well at this rate, is it? If we want a different outcome, an eternally-focused homerun, we’ll have to set dust-doodling aside. Here’s one help to prepare a batter after discouragement’s curveball. You won’t be a bother. It is important enough. And no, you’re not sounding like a broken record. Tell a Jesus-lover who will be intentional with scripture and prayer, one who will help you kneel at the feet of Jesus. Select a friend who will challenge you, offering annointed words that are the Hur to your Moses, the hand-holding Aaron so desperately needed to hit the ball out of the park. These next words were a “Hur” to my own “Moses”. Discouragement was the battle, but “telling a friend” refocused my eyes on eternity. Today, these words are for you. So my friend, step up to the plate with your Jesus-confident stance. As Deut. 31:6 says, Be strong and courageous…. Point toward eternity and call it over the fence with confidence – for Team Jesus. #YourStory testimonies are posted here every 1st Tuesday of the month. Writers and regular folks just like you and me share how our amazing God touched their life in very raw and real ways. It’s encouragement unwrapped…just for you! Past #YourStory testimonies can be found here. Linking with Intentionally Pursuing, Purposeful Faith, Holly Barrett, Jennifer Dukes Lee, Holley Gerth, #w2wwordfilledwednesday, Thought-Provoking Thursday & Grace & Truth.